Whether you need to create real estate, cars, hotel apartments or any other site with advertisements or you just want to include classifieds section on your site – this template will meet your requirements. With DJ-Classifieds extension you will be able to create custom fields suitable for each category, custom search options, custom locations, paid ads. And those are only few setting available in this great extension. DJ-Classifieds commercial classifieds extension included to the template price! 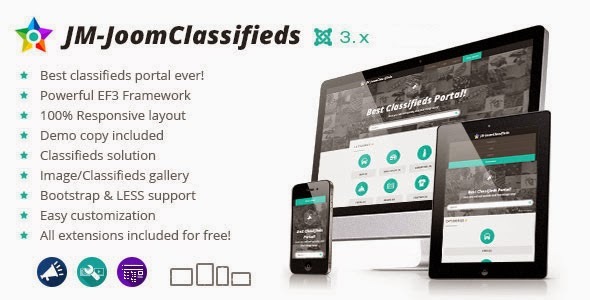 Item Reviewed: Responsive Classifieds Website Template 9 out of 10 based on 10 ratings. 9 user reviews.